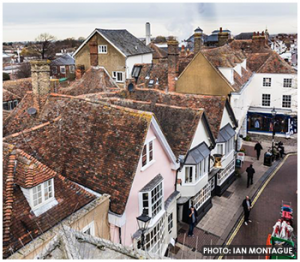 Get creative with caps and bold with bonnets and take part in a Kent Hat Festival. Every year hundreds of families turn out in Faversham wearing spectacular headwear for the fun and unusual event. It takes place this year on Saturday, March 31. Hundreds are expected to turn out for the hat festival and parade. To help hat-wearers create their best headgear and join the festival, a fun hat making workshop for both children and adults is being held in the town on Friday and all are welcome. It runs 11am until 3pm at The Guildhall in Market Place and costs just £3 for children and £5 for adults. The Hat Festival on Saturday begins with a parade which leaves the Hat Shop in West Street at 11am. Judges will be on the lookout for the best hats in categories for children, men, women and even dogs! There will even be a prize for the best hat on a dog!There will even be a prize for the best hat on a dog! Prizes will be presented in a ceremony at the Alexander Centre following the parade. There will also be stalls and refreshments to ensure the fun and lively festival atmosphere continues and with a prize for the 'best shop window - Faversham's shops and businesses also get in on the act turning the town centre into a sea of colour and creations. For the latest on the Hat Festival visit its the Facebook event page. This annual event will be held this year on the 1st, 8th and 15th July. Organised by the Faversham Society, it offers an opportunity to visit around 30 properties of historical or architectural interest, which are only accessible to the public occasionally. Handbooks at £8.50 each will be on sale in the Visitors Information Centre, Preston Street, Faversham, ME13 8NS from the beginning of June, or can be ordered by phone on 01795 534542 or by post (£10.50 inc. p&p). For groups of two or more people, admission to properties will be £8.50 for the first member of the group (to include one handbook) and then £5 for any additional member of the group (programme only, no handbook). Each handbook and programme allows entry to all properties on all three Saturdays. Opening hours are normally between 10:30am and 4:30pm but not all properties will be opening every day. Arriving by boat the unique spire of St Mary's Church beckons you from across the marshes to come and enjoy the sixth annual Faversham Nautical Festival and to delight in Faversham's nautical heritage. 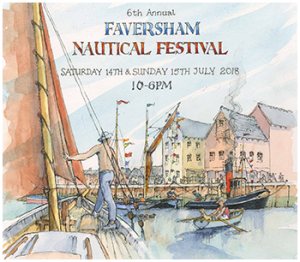 Residents and visitors can see the many beautiful, and mainly traditional vessels that will be moored in the upper regions of Faversham Creek. Some will be alongside the quays and jetty, while others lie at anchor. There will be Thames Sailing Barges, Dutch Barges, tugs, smacks, gaffers and many other big and small boats. The vessels will be ‘dressed overall’ making a colourful display and some owners may invite you on board. On the Town Quay, there is the Sea Cadets’ medieval warehouse TS Hazard. There will be information stalls, exhibitions, the music stand, a bar-b-cue and a beer tent. This will be the place to socialize, relax and enjoy listening to the many live musicians who will play shanties and other traditional music throughout both days. Visitors can delight in a walk along the unspoilt creek winding through beautiful fields, saltings and interesting boatyards out to the Swale while observing the wild life on the creek. Alternatively they can enjoy a walk around our interesting and historic town along with a visit to the Fleur de Lis museum. On the Front Brents, on the opposite side of the Creek, there will be many stalls of various kinds. For children there will a bouncy castle, ice creams face painting and many more entertainments for young people. 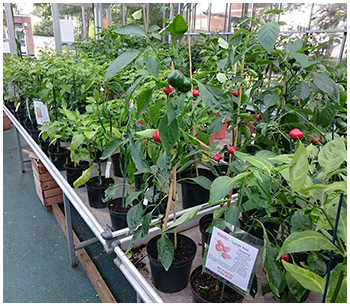 After the success of 2017, we will be holding the Faversham Chilli Festival once again at the Abbey School. Entry by donation to Pilgrims Hospices and other local causes. There will be lots of additions this time including performing arts from Faversham Fringe, horticultural talks, more live music and more local producers. Watch this space for more information! Visit the Facebook Page for more informaton! Over the festival weekend we have over 60 bands and performers providing 70 hours of live music across 5 stages and entertainment via the 15 sides showcasing Morris and dance. Our 40 volunteers work over 600 hours in the lead up to and during the event, making sure that every one of the 40000 festival-goers has a great time. In total, it costs nearly £70000 to stage the Hop Festival each year. Did you know that if each person attending donated just £1 we'd be well on our way to achieving that? 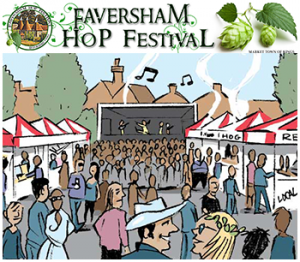 Faverham Hop Festival is a not for profit organisation so if you think that all that entertainment is worth the price of a cuppa then please help us maintain this great festival. Visit the website to Donate! 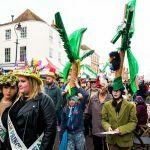 Set in the beautiful medieval heart of Faversham, this lively and popular event recalls the traditional festivities associated with the hop harvest and celebrates the town’s unrivalled hop heritage. Now one of the largest free street festivals in the south east, the event boasts plenty to see and do throughout the weekend with entertainment including live music on 5 stages, arts & crafts, Morris Dancers, street performers and processions. In addition, we have the Hop Blessing and a traditional parade through the town. There are also special tours of Shepherd Neame - Britain’s oldest brewer, a home of the hop exhibition in The Old Brewery Store, a traditional funfair and family area plus a street market full of stalls and a fantastic array of Kentish food and drink – including beer produced in the town, local cider and Kentish apple juice. 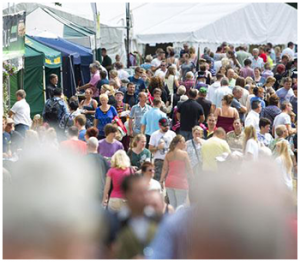 The Faversham Food Festival is an annual free to visit celebration of local food and drink. This year it takes place from Friday 14th to Sunday 16th September. The Festival is very much a community event – something for everyone! This free to enter, three day festival of local food and drink starts with a Friday evening celebration of locally caught fish barbecued on the Creekside. Saturday and Sunday have a medieval theme alongside the best of contemporary real food and drink – ale trail, sausage trail, talks and demonstrations for all the family. Calling all Faversham Traders. This will be the first (of many, hopefully) “Find it in Fav” markets - a place to showcase your company in the heart of the town. A pitch (normal stall table length) is only £10 for FTA members or £40 for non members. We will be advertising this on all social media, CreekFM, Council and FTA websites with posters around town. Space is limited to 30 so book now to avoid disappointment. If you don’t have a town centre presence... now’s your chance! 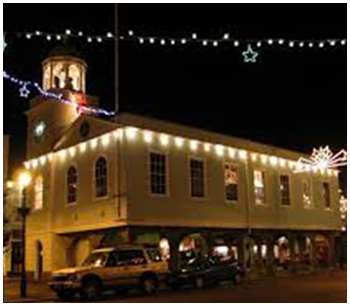 "Christmas Lights & Food Night"
Lights swtch-on by Father Christmas in the Market Place at 5pm. The festivities will be followed by an evening of live music, delicious warming food and drink. Faversham Transport Weekend 2019 is now in its 25th year. There will be a display of commercial vehicles and vintage buses on the Saturday. With the Sunday displays of Classic Cars. The Faversham Transport Weekend takes place in the town centre. A great weekend out for the whole family. 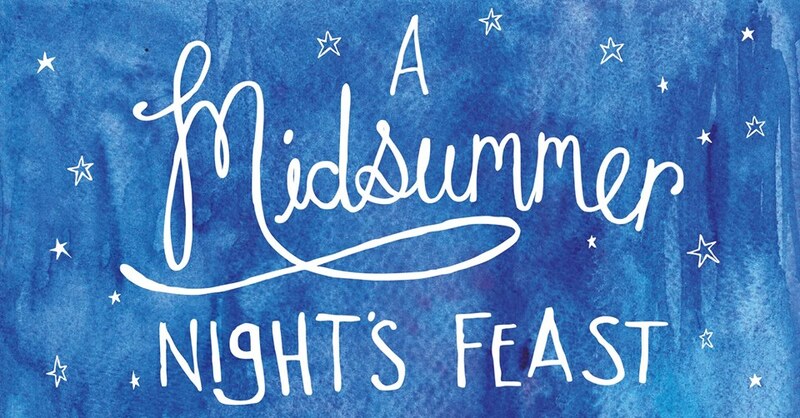 Description:A truly magical evening of local food & drink, shopping & live music! Family event, free entry. Set in Faversham's historic & iconic Market Place - plenty of room for swinging, strolling, sitting & socialising! Live music, stalls & event updates will be released via this event page - stay tuned. A fantastic weekend of nautical fun and frolics. See barges, smacks and other traditional boats at the head of the Creek. Plus nautical displays, stalls, food and drinks, as well as live music all on the Town Quay and the Front Brents.